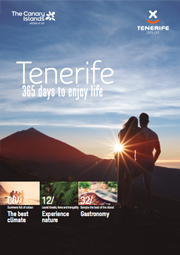 In just eight days, you'll get to explore Tenerife, the largest of the seven Canary Islands. From the time when you arrive at your 4/5 star resort, you’ll be able to immerse yourself in the island’s national beauty, distinctive landscapes and terrain, Canarian culture and activities. Arrive in Tenerife, where you’ll be met by your official guide and private transportation. Once you check into your 4/5 Star Resort, the rest of the evening is yours to relax and enjoy! Today is yours to enjoy however you wish! You may want to check our your hotel's spa, gym, or perhamps spend the afternoon shopping in Adeje. After lunch, you’ll get to explore the crown Jewel of Tenerife, Mt. Teide National Park. Declared a UNESCO World Heritage site in 2007, this is the most visited park in Spain and home to the NASA solar observatory. We’ll take a guided walk through the parks trails where you’ll discover some of the 800 species of unique flora and fauna on the island that can be seen nowhere else on earth. You’ll ascend by a private transfer to an altitude of 12,800 feet where you will be able to take a cable car ride up to the summit of Mt. Teide via cablecar and observe the breathtaking views of Tenerife and other Canarian Islands. Today you’ll have the opportunity to discover Tenerife’s most beautiful scenery the hidden village of ‘Masca.’ We’ll trek down the Canyon of Masca until we arrive at the beach- where we will board a ship to view Los Gigantes. Located on the western side of Tenerife, the cliffs of Los Gigantes are a stunning backdrop to indulge in our evening dinner of Paella, a traditional dish and watch dolphins and whales as we cruise back to port.